This is an essential guide to the exciting missions of teenage spy Alex Rider, featuring blueprints, data files, foldout posters and more. 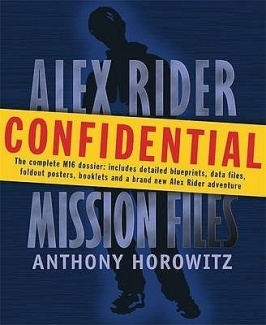 Resembling an MI6 secret dossier, these classified documents reveal the inside story of British Intelligence's secret weapon: 14-year-old Alex Rider. Packed with information about every aspect of his missions to date, "The Mission Files" is an unbeatable guide to the teen super-spy's adventures. It includes five full-size, double-sided posters and two booklets containing everything you need to know about codes and spycraft.